Make a Reward feel like much more! A business or organization is not just made up of any single entity but it’s truly a coming together of multiple entities who make your brand thrive. Be it the employees who build what you sell or your channel partners who sell what you build, your recognition of each and every one of them lays the foundation for your success. QwikRewardsx - A comprehensive rewards and recognition management suite makes sure that you are able to recognize and reward those help scale your business and that too with utmost ease. Based on your specific case you can now design a rewards program for your partner or employee, be it individual or a team. 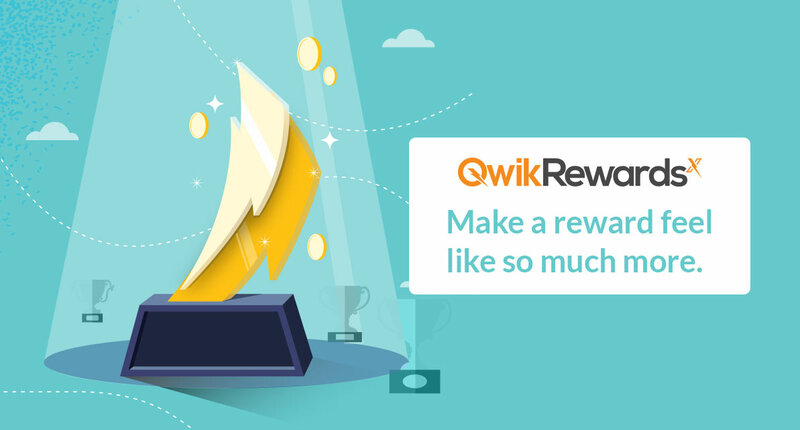 With built-in options for multiple occasions QwikRewardsx lets you easily set rewards criteria, customize designs and engage the users through communication. Your employee and partners would also love QwikRewardsx for the sheer choice of more than 150 brands on tap. And all these brand gift cards can be delivered instantly to them with easy redemption options as well. Ready to delight your customers and partners? Talk to the experts now!